Contest that took over our entire blockchain has finished. The dust has settled and votes have been counted. Fake entries from cheating shitcoins have thankfully been removed and the rightful winner has been proclaimed. We did it! 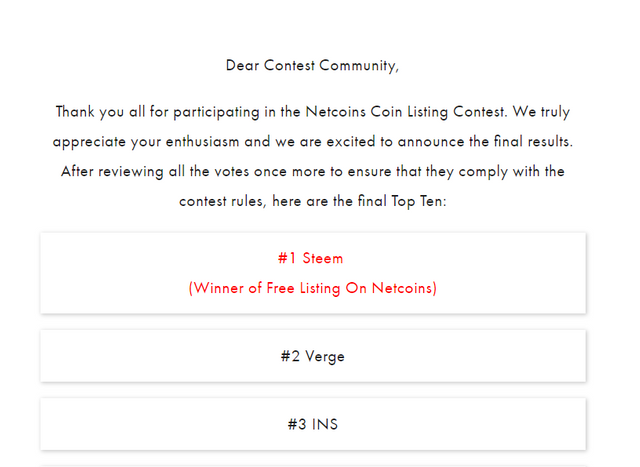 STEEM won in the NETCOINs listing contest. 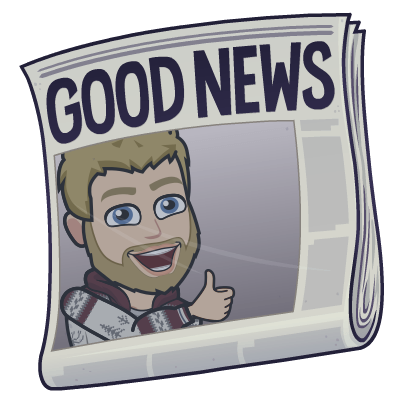 This contest has shown us a couple of interesting, negative, factoids about our community which I want to bring out to light. The contest lasted for multiple days with possible entries every 24h. This ment that every user could easily cast at least two or three votes. Last time I checked, we had around 11k votes but I've heard that in the end we had around 18k or somewhere around that. Meaning that we only had around a couple thousand users who actively participated in the contest more than once. 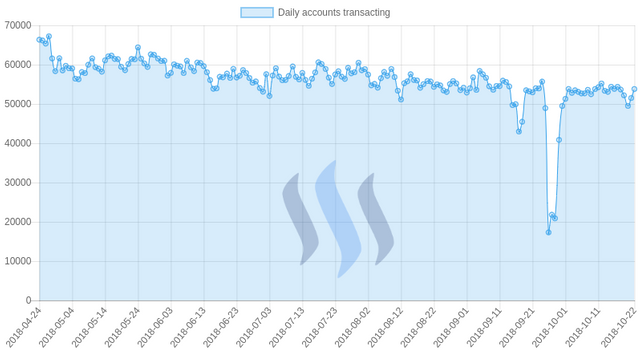 To the over-exaggerated confidence, some had in the number of active users on Steem and their willingness to do something that could potentially benefit the blokchain we are using. The most absurd part about this is, that it was the simplest task imaginable, yet many couldn't/didn't want to do it. While the whole madness was ongoing, I've seen many users referring to Steem having 1 million wallets; Asking where the one million people are, now when we need them. Bots, spammers, projects, dapps, websites, services, secondary accounts, etc. make up a big portion of wallets some Steemians think are unique. Sadly, currently our true numbers are much lower than we may think, or believe they are. There are only around 60k give or take, active accounts transacting daily on the Steemblockchain. This includes all Steem based dapps and services. Truth of the matter is, that a big portion of that 60k are not even unique users. Or humans. This is just a number of all accounts that have made a transaction in a given day. That doesn't mean they are not bots, spammers or alt accounts. Out of the 60k my estimate is, that only about 15k of them are unique users. Out of the estimated 15k daily active unique users, legit humans, non bots, only around 3000 of them participated in the NETCOINs listing contest. Maybe even less. 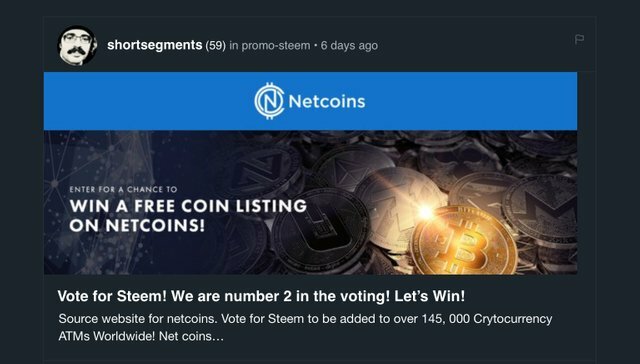 Was drained out of more than 100k SP in a matter of a couple of days because there were so many users and projects offering to upvote those that provide evidence of supporting STEEM with their vote. Thus, a contest which had a 30k USD prize, in the end, costed the blockchain much more in rewards. But it doesn't matter though, as most of it didn't leave the ecosystem but rather empowered the individuals who deserved it. Those that supported the cause and did put in the needed, small amount of effort to fuel its success. That's the earth-shattering potential of this tipping economy that actually doesn't cost any money to tip. We have been given it for FREE and still haven't come to mind with what it can achieve. It can incentivize desired (hopefully positive) activity through distributing rewards proportionally to the value each participant offered. Even though this showed how small our numbers truly are, it has also shown us how good the system works. How much people are willing to do when the right incentives are put in place. And how we can shift tides in our favour when the motives are strong enough. Thousands of posts and hundreds of videos and tens of thousands of comments, were made by the community to promote this contest. All in a matter of a couple of days. Although only around 3k users actively participating in the contest is dissapointing. This showed us how strong the intentions and willingness to do whatever it takes is, amongst those who really want to help this blockchain grow and see it reach the mainstream. STEEM is just a baby though. It still hasn't fully learned to speak, yet we are expecting it to prove the string theory and solve world poverty. I bet that those who hold these unrealistic expectations are the same ones that haven't actively participated in the contest. They need to realize that every single one of us plays a crucial role in shaping the future of this place. Even though it might not seem like our actions are doing much at all. This contest proves the exact opposite. Alone, none of us could move a 1 ton rock together, we can build pyramids bigger than the Egyptians. Despite our intention beeing to build a castle, we ended up making a dog house. Nonetheless, it was the best looking one out of the rest who participated in the contest. For that reason, we should be proud of ourselves. Realize our weaknesses and focus our best intentions on correcting them. Consequently, creating virtues that will be the rocket fuel of our spaceship. The users that didn't participate though, should ask themsleves if they even deserve to reap the possible benefits of our actions and how they can be ten times more productive and ready to help out, in the next such community effort. Doing whatever it takes to provide the necessary value for this platform we are using, inspiring positive activity and assuring growth, it won't reach the heights it deserves to. Because it is exactly what this platform strives on. If we can provide that influx of good intentions accompanied by adequate actions. We will make STEEM grow exponentionally! Victory tastes good. I'm glad that we won and it serves as good reaffirmation but, with all of the attention this contest got, our results are dissapointing to say the least. It should serve as a wake up call for many and a call to adjust their mentality in the to strive and do whatever they can to help STEEM grow in any way, shape, or form. 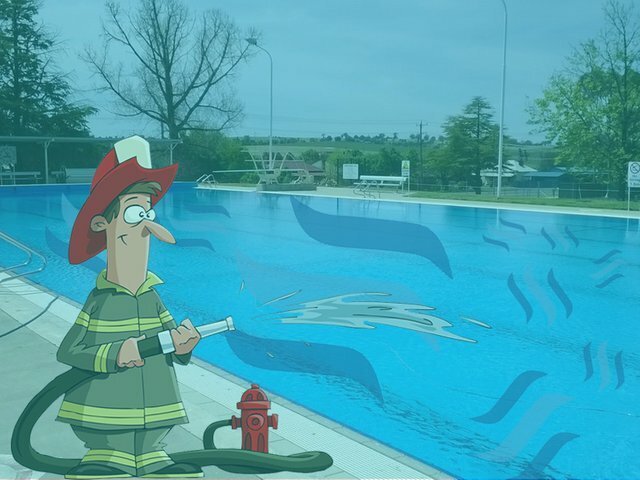 That participated in the contest. Those that responded to my countless messages on discord and actually did what I asked them to do. Especially, the ones that made multiple votes and wrote their own posts about the contest. Aditionally I would like to thank everyone who resteemed my posts on it and the ones that voted after reading them. I hope that all of you also posted the screencaps on the posts who's OP's handed out the sweet upvotes and that you have made some money on it, because you deserve it. I won't go into naming the individuals as this post is already long enough on its own, I will only mention @oracle-d. A project without which, none of this would be possible. The glue that stuck us together and the hand which thrown us in the hoop. As for the rest of the community who participated. Thank you for being the driving force behind our first victory. One of many future battles we will win, together. You have proved the potential power we have, even in such small numbers. I know it sounds corny but I'll say it once again, because it never was more true than in this case. Together we are stronger. 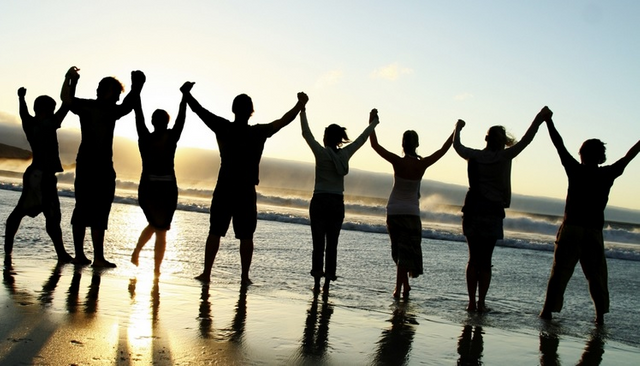 Our potential is limitless when the right incentives are set and a good amount of individuals are in the same boat, paddling towards the shared finish line, together. Never undermine this fact, rather embrace it to multiply its potential. Now, let's pop this champagne and make a toast to what we were able to achieve. Realize that we have much more potential to influence the state of STEEM than we give ourselves credit for and oblige to do much more for its benefit than what we are currently doing. Wowow! Double happiness! 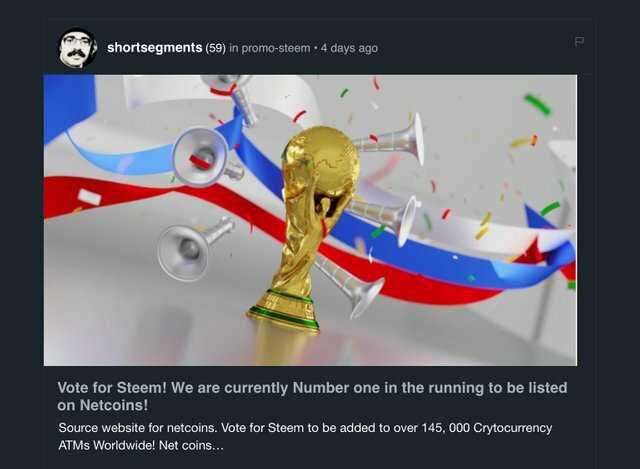 I'm so happy that Steem has won! It's a wonderful reward for those who have invested their hard work here on Steemit for so long, like you and me, @runicar! 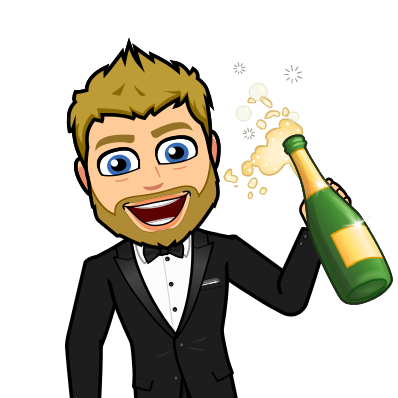 Cheers and thanks for your tireless endeavors and support to those, like me, that still have a lot to learn about crypto! 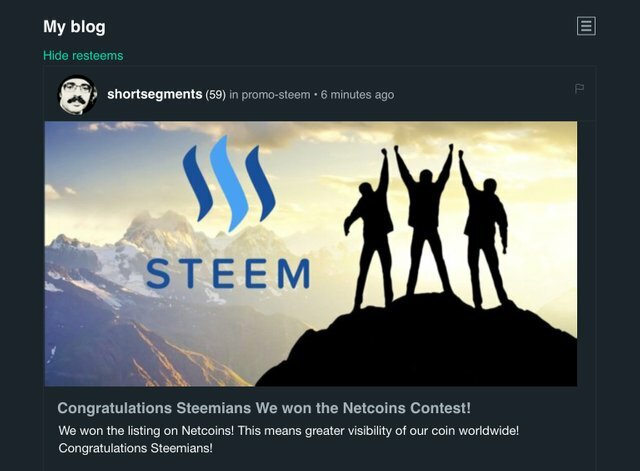 And I'm happy I won the 5 STEEM, it's an oasis in the last times here on Steemit, and a boost to my confidence! But now the oasis will show up more often, hopefully, with Steem being listed, yessss! It will be a sea of contentment! Yuppeeeee! We are all winners! Thanks again, @runicar! @nolasco your engagement in this contest was admireable! Thanks for being a big part of it and helping us win. Thanks again, my dear friend! I'm happy to be part of this community! Cheers! You got a 41.08% upvote from @emperorofnaps courtesy of @runicar! Thanks so much, once more, @runicar! And thanks, @emperorofnaps! Np @nolasco :D Thank you for contributing so much of your time towards helping us the goal! I tried to do my part by writing posts on the contest! I hope this results in increased visibility for our coin and leads to curiosity about our platform. You got a 40.00% upvote from @voteme courtesy of @shortsegments! For next round, send minimum 0.01 SBD to bid for upvote. I'm proud to be one of the 3k that voted. It's like voting in elections, a minority of people decide who our leaders will be. The good thing, is we have a base of support we can grow from. We did it once, let's do it bigger and better next time. Congrats Steemians! I'm glad that you were one of the, seemingly rare ones that decided to help us get where we are. Agreed, now we can do much greater things! wow brightest future for steem. Congrats steemians! I actually think those ratios are quite good (say 3k out of 10k active users); its the low true active user numbers which are of concern. Getting people off the blockchain onto a third party site and also getting them to enter their personal email address is not trivial. Lets face it this was nothing more than a large email gathering project (backed by a 30k prize) to get a contact list of active interested crypto users who netcoins can mine for their user base. That idea turns a lot of people off. I voted using a 2ndary email address that I can turn off if spam gets too bad but lots of people would not have that luxury . It was nice to see the steem community get behind something however and demonstrate the potential of social blockchains to make an impact. Ye, I know, and they did get a lot of emails that way. Even though many saw through their intention like you did. I also used my secondary email for this exact reason. Let's see how they abuse it now. If at all. Agreed, now when we know our potential, it's time to start moving mountains! I'm not going lie, victory is a great feeling, LOL. haha, yeah. It couldn't feel any better. So glad that we won, because I and everyone else did too much work for it not to win.